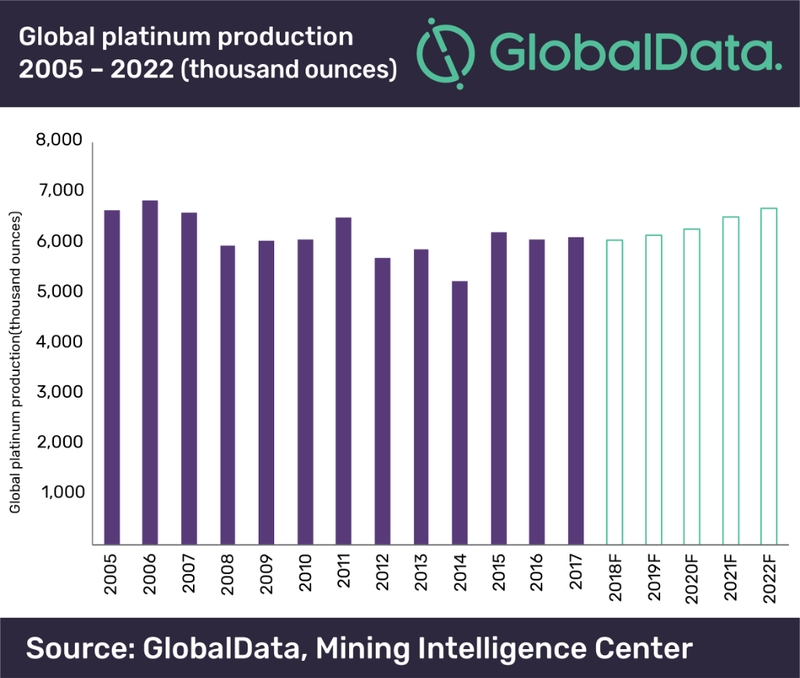 After a contraction of 2.1% in 2016, global platinum mine (or metal content in the ore) production, recovered marginally by 0.8% to reach 6.1 million ounces in 2017, assisted by South Africa and the US increasing output by 1.5% and 2.6% respectively, according to GlobalData, a data and analytics company. Sameer Chakravarthy, Mining Analyst at GlobalData, comments: “South Africa, which is the world’s largest producer of platinum, managed to offset production losses in 2017 from the closure of mines such as Platinum Group Metals Ltd’s Maseve mine and Atlatsa Resources’ Bokoni mine, with a strong performance from Anglo’s large Mogalakwena open pit mine. 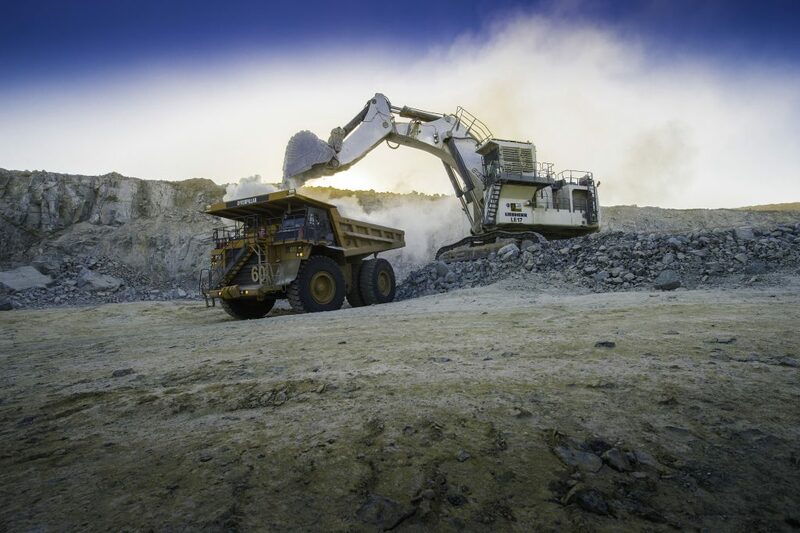 Furthermore, two of the country’s largest platinum mines, Sibanye-Stillwater’s Rustenburg platinum mines and Impala Platinum’s Rustenburg lease, achieved record production. Production in 2018 is forecast to decline, before it picks up again through to 2022, dropping by 0.9% as a fall in the price of platinum and appreciation of the Rand against the US Dollar leads to mine closures, coupled with high over the ground inventories. However, looking ahead, an expected recovery in platinum prices, driven by positive global vehicle sales and Asian jewellery demand will lead to increased production. 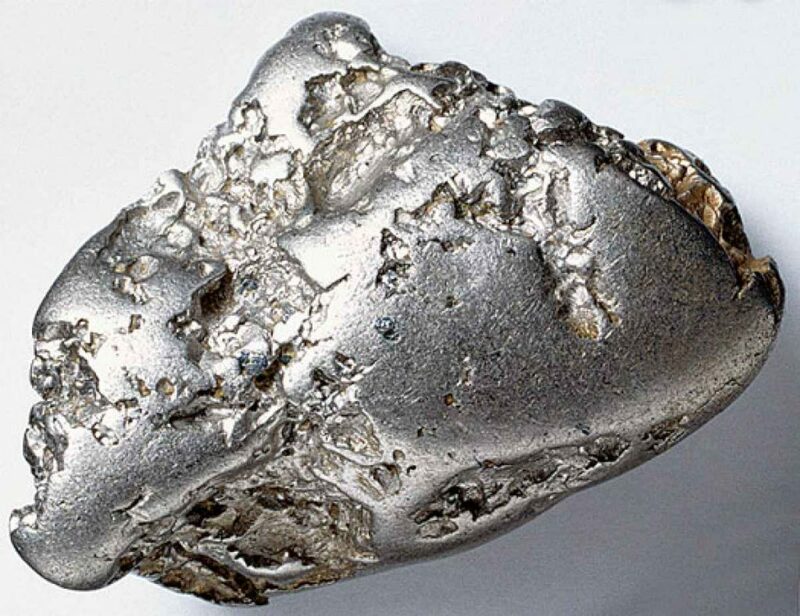 The white silver metal known as platinum is the heaviest of the precious metals, weighing almost twice as much as karat gold. It is dense, ductile and impervious to corrosion. It is the least reactive metal and it has a very high melting point. These characteristics, along with its chemical stability, make platinum extremely useful in industrial applications. It’s colour, which mixes well with gold, and its resistance to tarnish and wear, make it an excellent choice in the crafting of fine jewellery. Nearly 50 percent of what is mined annually is used in the manufacture of vehicle emissions control devices amidst a 30 percent of what is mined is used in jewellery. That is so as platinum is widely used as a catalyst for chemical reactions, more specifically in vehicles, as a catalytic converter, facilitating the complete combustion of unburned hydrocarbon passing through the exhaust.